Our new donations project is now open to make the most of generous gifts of items from the public and as a way of providing our clients with volunteering opportunities. The new project, which is based at 33 Bishopgate, next door to the charity’s head office, is open on weekdays between 10am and 2pm as a drop-off point for donations to the charity as well as a location for the people who use their services to collect items they need. The project will be staffed by volunteers with lived experience from within St Martins’ services. The volunteers will receive the items from the public, sort the donations and use the premises to distribute them to others who are in immediate need of specific items. 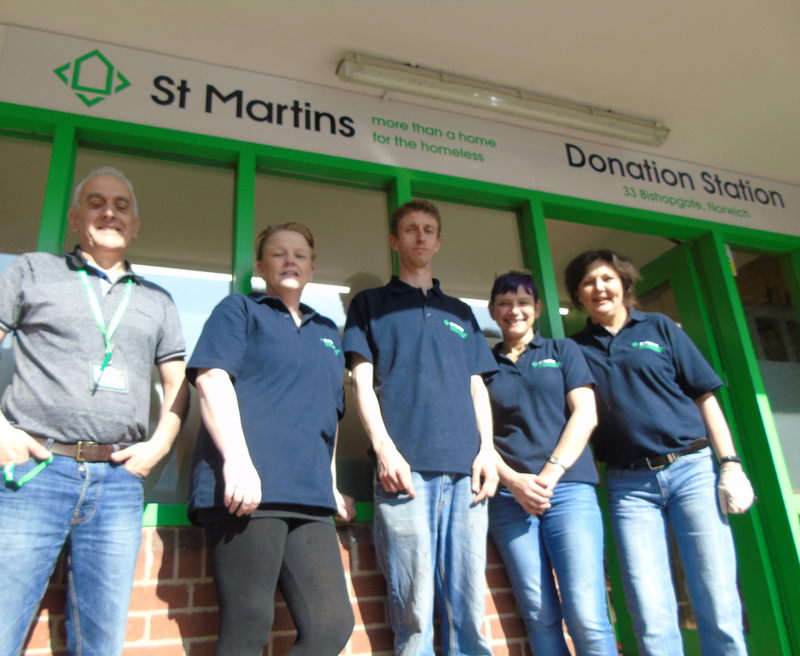 St Martins encourages the people who use their services to be as independent as possible and teach budgeting skills and cooking as part of the training available to them. Many of the people who use the charity’s services are not comfortable to rely on hand-outs so they choose to make a small contribution for the items available.